Years ago as I was still learning this business, I was lucky enough to meet one of the most genuine and kind candidates I’ve ever worked with. The problem for her was that she was miserable in her job. It was taking a toll on her relationships, family, and health. We found each other and the timing was really perfect. Within a few weeks we had found her a new role, one in which she spent several years at very happily enjoying an environment and role that better suited her. As part of getting to know this woman, she referred me to a coworker from the company she left who was facing similar stress and anxiety being in a role at a company she despised. Day after day, the alarm would ring and a feeling of dread and disgust overwhelmed her as she willed her way to work every day. Can you imagine this? What would you do? Seems an easy decision, right? Well, after months of counseling and calls with this person, including several very real opportunities I presented to her that would enable her to leave her hell behind, she simply decided to stay. She said she could not let her coworkers down and could not leave them in a bind that they most certainly could not recover from in her mind. This story is a common one in my almost 13 year career in recruiting. It seems counter-intuitive to many that someone would sacrifice health and happiness to drudge through an unenjoyable job, but it happens a lot. Now, it needs to be noted that if you are unhappy you are the one that plays the biggest part in that feeling you have. You decide your situation, not your boss, the coworkers you squabble with, or the company as a whole. If you are unhappy and feeling the stress that results from it, you have a choice in the action you need to take. Either decide to work on fixing the problems or decide to move on. Even a highly productive person who is clearly unhappy is hurting the company they are at. Think of it this way. What would you say to a friend in this situation? Would you tell them to “stick it out” or “just mind your own business and do your job”? Of course you wouldn’t. You would tell that person to start looking for something new. Something that extinguishes the anxiety they feel and reinvigorates their ability to achieve professional goals. Write down why you want to leave your job. Write down what you are great at. Write down what you love most about your role (even the unhappiest of people love something about what they do). Write down what would keep you in your current job. The answers to these questions will tell you what you need to seek out and/or avoid in your next job or what you need to fix in your current one. It is the basis of a great job search and the first step toward getting back to happy in your professional career. For more guidance, call or message me or any of my teammates as we are ready to help in any way we can! 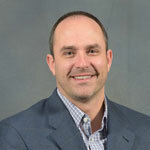 Nate joined Aureus Group in 2006 and has exclusively been serving Nebraska customers all across the state. In his role as Sales Manager, Nate leads an elite team of recruiters and account managers who source accounting and finance talent within all industries. This talent ranges from technical individual contributors to executive finance leadership. Nate has earned the prestigious “President’s Club” award three times, which puts him in upper echelon status among not only his Aureus Group peers, but also in the staffing and recruitment industry. He attributes his success to a transparent style of communication and a sincere belief in pairing the best interests of his clients with that of his candidates on every occasion. Prior to his time at Aureus Group, Nate carved out his skills in the banking, advertising, and retail industries. These growth experiences led Nate from Kansas City to Des Moines to Phoenix and then back to his original home in Nebraska. Nate holds a bachelor’s degree in communication studies from The University of Missouri at Kansas City and is a Certified Personnel Consultant (CPC) through the National Association of Personnel Services (NAPS).